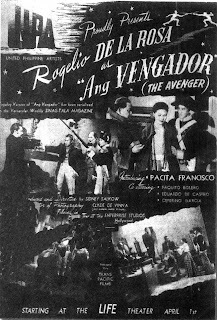 The name Rogelio de la Rosa conjures up images and memories of flamboyant and high adventure, of celluloid principes and provincianos, of bravura performances on the silver screen in the golden age of Tagalog movies when the heroes were all handsome, brave and noble, and the heroines virtuous and pure as vestal virgins. The days of Rogelio de la Rosa as a matinee ideol were the days of idealism when life was relatively simple – when Good was good and Bad was bad and that was that, no in-betweens. And Rogelio de la Rosa embodied all that was ideal and good. He was the Hero. And what a hero! He was tall – over six feet, he possessed a resounding baritone, he was fair as a storybook prince and as charming as a barrio swain, he had a physique of a Greek god and the face just a shade of the mestizo to be uncommonly handsome, and the most expressive pair of eyebrows that side of the kleiglights so that when he cocked one in quizzical arch or knitted both in anger or dismay, millions of female fans everywhere felt the surge of his passion and reacted accordingly – in full faint or autistic adoration. For Rogelio is Romance personified. The faithful lover, dependable, reliable, he never failed his women. 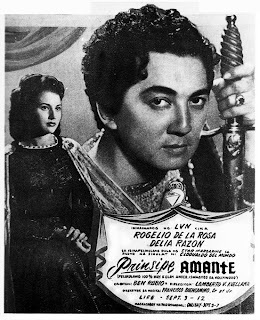 There were other leading men then to be sure – Leopoldo Salcedo, the self-styled King of the Philippine movies with his great profile a la Valentino and his reputation a la Casanova. There was also Pempe Padilla, perhaps the more down-to-earth actor, acting with more natural flair – he was also the ladies’ man, the love-‘em-and-leave-‘em type, the kind that masochistic women will brave martyrdom for, but Rogelio was the steadfast one. He was dignified, respectable, the gentleman – ang idolo ng madla – admittedly the greatest matinee idol of all times. On that score, Rogelio was not play acting. He was and is the Gentleman. No scandal marred his career. His private life was as private as one in the business could wish. Not many even in the industry knew that he was married during the height of his stardom and that his marriage was collapsing due to the pressures of filmmaking and even when he took a second wife, actress Lota Delgado, in marriage, there was not much fuss or bother. 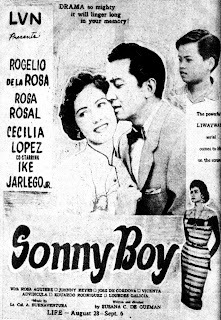 Rogelio was big box-office and all the leading ladies of that era were only considered real stars after they became Rogelio’s leading ladies – Carmen Rosales, Mila del Sol, Corazon Noble, Norma Blancaflor, Fely Vallejo, Fleur de Lis, Amparo Karagdag, Lilia Dizon, Tessie Quintana, Delia Razon, Rosa Rosal, Emma Alegre, Alicia Vergel, Paraluman, Cecilia Lopez, Gloria Romero, Nena Cardenas, Virginia Montes, Leila Morena, Nida Blanca. A role with Rogelio as the leading man confirmed the ladies’ star status. Diosdado Macapagal, was steeped in the zarzuela tradition. Dadong’s father was a zarzuela writer/director and Dadong played the male leads in most of his father’s works. Roger was the contravida because he was mestisuhin and was always cast as the wicked landlord’s Manila-born son who will return to the barrio to oppress the farmers represented by the dark and dusky and impassioned Dadong Macapagal. But for these two friends, zarzuela was one way to spend time. It gave them outlet for their emotions, and of course young men in the zarzuelas were targets of female adulation just as much as Gabby Concepcion and William Martinez are at present. Roger had his share of misadventures which his father tolerated because the father wanted the son to be able to bear all the hard knocks that life might deal him with in his later life. Although his mother was quite protective of her children, Roger and his brothers grew up to be independent-minded and strong-willed. At 15, the young Roger was already carrying the load of partly supporting the family whose dwindling fortunes were brought about by the unwise investments of indulgent and overly generous relations. His zarzuela training proved to be heaven-sent. While playing in Bacolor during a Christmas season of plays, he was seen by a young film director, Gregorio Fernandez (Rudy’s father), who proved to be a distant relative. 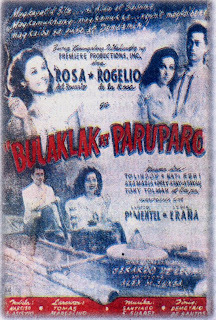 He was brought to Malayan Pictures to star with Rosa del Rosario in Ligaw Na Bulaklak. Rosa – Rose Stagner – in real life, was a 14-year old screen star who was already becoming popular. 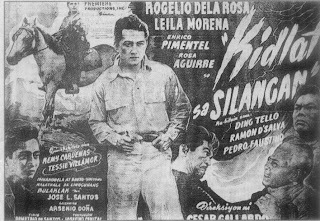 The film was “silent” and thank heavens, because Rosa spoke very little Tagalog with an American twang and Roger spoke no Tagalog at all. He only spoke Pampango. 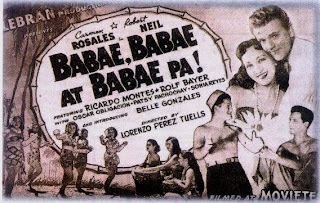 When “talkies” came, all the leading performers had to master the Tagalog idioms in order to survive and Roger did master the language, although with the lilting Pampango accent which has never left him to this day. Rogelio de la Rosa’s career flourished from the late 30’s into the late 60’s – spanning 30 years at the height of his profession – uninterrupted by the fluctuations of popularity except, of course, during the war years. 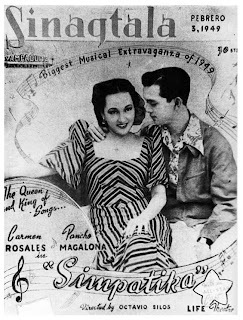 Right before the outbreak of the Pacific war, Rogelio de la Rosa was already a producer turning out such hits as Ang Maestra, Anong Ganda Mo, Serenata Sa Nayon. He went to Hollywood to star with Sigrid Gurie and Pacita Francisco as his leading ladies in the two versions of The Avenger – one in English for American distribution and one in Tagalog. Sigrid at the time was a leading Hollywood star who just completed a film, Marco Polo, with Gary Cooper. Roger could have enjoyed a fairly successful Hollywood career because his agents were sure they could get him a studio contract. He could have made a go of it but he declined the opportunity. “What will I do in Hollywood? After the initial interest of being a Filipino, I would be relegated to second leads playing various ethnic types. I was a leading man in Manila and I was receiving top salary. But it was quite an opportunity to work in Hollywood,” says Roger. 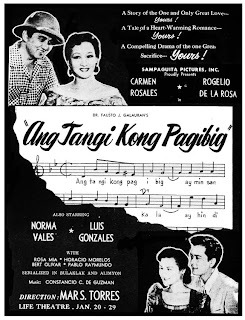 Roger returned to Manila and starred in innumerable films – the most successful of which where his pairing offs with Carmen Rosales. “But Rosa del Rosario remains my favorite leading lady, maybe because she was the first. Rosa was so considerate on the set, she was the compleat professional – and all of us approached our craft with respect and professionalism. No one came late, no one brought his problems on the set. We came to the studio to work.” He also thinks, however, when it came to musicals no one could beat Carmen. She was the flirt. There were many leading men who came and went, burned bright then flickered but Roger remained a star. Leopoldo led such fabulous life, building mansions that were showcase of wealth and splendor; but Roger maintained a low profile, investing in real estate in Baguio and in the suburbs. If Pol was King, Roger was the Statesman and eventually, he really became one. He renewed his friendship with the late President Magsaysay and worked on several projects on the quiet. He would talk to the farmers of Cetral Luzon and his popularity as an actor helped him gain confidence and break the chains of distrust among the landless mass the government was trying to reach. When he ran for Senator, all the Rogelio de la Rosa fans voted in droves and he alone of his teammates survived the landslide of the opposition political dreadnought. He was one of the topnotchers in that election. In the Senate, he was surprisingly effective. He earned his spurs as a lawmaker; he was prepared, he was correct, he was well-liked and soon, his being an ex-movie star was not a liability anymore. He gave the acting profession class and respectability. His supporters mentioned him for the Presidency but not a few recoiled: “What? A movie star for President? Unthinkable!” These were the days before Ronald Reagan, of course. Today, a still active actor like Joseph Estrada is an elective town mayor; Philip Salvador and Alicia Vergel, both movie stars, are elected barangay officials; Ramon Revilla, a top action star, is thinking of throwing his hat in the political ring in Cavite. Roger realized that the Presidency could not be had with good works and good intentions. One needs a good machine and the machine is fueled with cash. When he tried campaigning in the Visayas and Mindanao, he encountered the dirty tactics. Campaigning for the Senate and campaigning for Malacañang were light years apart in difference. And so in the middle of his presidential bid, the sad realities hardened and he gave up. The field was left to Diosdado Macapagal and Carlos Garcia, the incumbent. And because Macapagal was a friend and an ex-in-law, there were talks of sell-out. The rumors, however, did not fester. He embarked on a diplomatic career and he has represented our country in some of the toughest and most sensitive posts in the world. Foreign Affairs Ministry insiders rate his performance as “brilliant” although low profile and his “penetrating reports and analyses” of the conditions where he is assigned have contributed immensely to the official policy of the Ministry. He is a diligent representative, he gets what he has to, he delivers what he must, he is a no-nonsense professional. He does not impress you with anecdotes of kings and dictators and presidents he had to deal with, the innate gentlemanliness in him probably forbids him to betray even the most trivial confidences to make up for interesting conversation. He is old school, he measures his words, he speaks with studied casualness, it seems that nothing is accidental with him. Now he can be accused of being stiff and formal – pero artista pa rin. He still possesses that commanding presence and he looks more attractive because he looks more distinguished with all that silver thatch. Puede pang mag-artista, given the right part and the right story. He does not preclude doing another film. “As a matter of fact, I look forward to it – when the right time comes.” Again, the diplomatic reserve even in jest. But a lot of people are seriously thinking of casting the Ambassador in their projects. Not only because of the profit motive but because of the fact that Rogelio de la Rosa coming back to films is an event that will serve the entire film industry well. There are those who will assess Roger’s acting abilities as just fair-to-the-middling. Rogelio is always Rogelio in all his roles, they say. But Rogelio does not have to prove anything. He has done all kinds of roles in all genres of the game. He sang, he danced, he romanced his leading ladies under the mango trees. He tackled all roles, a prince (Prinsipe Amante), a Biblical character (Dimas), legendary hero (Sohrab At Rustum), escape convict (45 Oras), poor farmer (Higit Sa Lahat), an Igorot native (Doble Cara); he played Armand to Carmen’s Camille, he played doctor, lawyer, Igorot chief, the works. He was not typed. He’s got the FAMAS, the Asian Golden harvest awards for best actor. Of course, Rogelio will always be Rogelio. And why not? Some people should be so lucky. Ambassador Rogelio de la Rosa was on home leave for for the next few weeks but he is expected to return to his diplomatic post in Sri Lanka. He has been assigned to such exotic places as Cambodia, the Netherlands, Rumania, Poland. He expects to retire since he has reached that mandatory retirement age. He does expect to life a life of usefulness. There is that farm in Baguio, that land developments in San Mateo. And the children – all grown up and all ready to live lives of their own. There are no second generation de la Rosa to pick up where he left off in the movies but Roger suspects that one grandson might still follow in his steps. The only language the grandson speaks right now is English, having born and brought up in the United States. “But he can learn Tagalog, after all I did and I did well,” the Ambassador concluded. Rogelio de la Rosa – zarzuelista, matinee idol, husband, father, senator, ambassador – has done well, indeed. 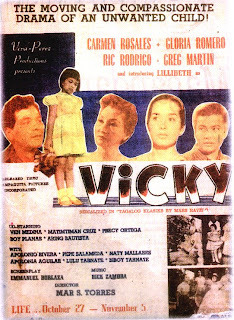 *Thanks to Simon Santos of video48.blogspot.com for some of the movie ads. IYON AY ISANG DI-KALAKIHANG bunggalo sa isang tahimik na subdibisyon sa Rosario, Pasig. Katamtaman ang taas ng bakod at naliligid ng malalagong halaman. Sa wari’y hindi angkop na tirahan para sa isang dating reyna ng magulo at marangyang daigdig ng putting tabing…si CARMEN ROSALES. Pinapasok kami ng isang katulong na ayon sa kasama naming writer na si Hannah Quintos ay kung ilanpung taon nang matapat na naglilingkod kay Mameng. Maya-maya pa’y lumabas na siya . 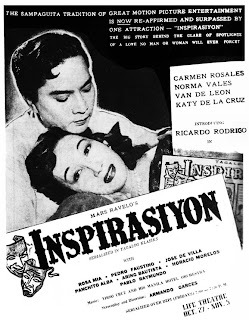 . . ang bituing ng “Kampanang Ginto” at “Inspirasiyon”, ng “Maalaala Mo Kaya” at “Tangi Kong Pag-ibig”. Mataba na nga siya ngayon. Puti na ang buhok. Pero banat pa rin ang kanyang balat, mataginting pa rin ang kanyang tinig na napabantog sa pag-awit, at higit sa lahat, masigla pa rin at masaya ang bawat kilos niya’t galaw. “Talagang maraming napiprinsinta na interbyuhin ako,” kuwento ni Mameng. “Ang Panorama, minsan bigla na lang dumating dito. Ayoko nga, ni wala man lang silang abiso. Tapos, minsan, si Letty Magsanoc (Panorama editor) ang nagpunta rito. E, kasalukuyan akong nagpapagawa ng garahe. “Magkakaintindihan ba tayo niyan?”, sabi ko. “Magulo’t maingay rito. Bumalik ka na lang.” Nag-set kami ng appointment. Miyerkules daw. Nang dumating ang araw na ‘yon, naghanda ako’t nag-ayos, pero inindiyan niya ako. Tapos bigla na lang ulit dumating dito. Ayoko na. Ni hindi man lang niya ako tinawagan noon na hindi siya makararating. Kasi raw nagpunta siya sa Europe. Aba, sabi ko, bakit hindi mo sinabi sa ‘kin para nagpunta rin ako sa Europe at doon tayo nag’interbyuhan? Galit na galit si Mameng sa isinulat ng isang writer sa isang magasin (hindi JEH) na sinabing lola siya ng mga bakla at huwag na siyang magbalak bumalik sa pelikula at maggantsilyo na lamang siya sa kanyang tumba-tumba. Maliit pa raw siya ay mahilig na siyang mag-perform sa harap ng mga tao. “Taga-Plaridel, Bulacan kami at alahera ang mother ko. Sasabihin sa kanya ng customers niya, “Hoy, Pilar, dalhin mo nga rito si Mameng at pakantahin mo.” Ako naman, parang de kuerdas na sige agad sa pagkanta. Kanta at sayaw ang hilig ko noon at hindi pag-arte. Nag-aral ako ng pagmomodista nang magdalaga ako pero nakita ako ng nasirang Lina Flor at siya ang humimok sa ‘king mag’artista. Ayaw ko noong una. Sabi ko, masama ang reputasyon ng mga artista. Pero ginawa rin nila akong dobol ni Atang de la Rama. Nakita ako ni Direktor Tor Villano ng Excelsior Pictures at ako’ng pinili niya para maging leading lady ni Jose Padilla, Jr. sa “Arimunding-Munding”. Nang makita ba naman ako ng producer nila na si Quisumbing, sabi sa ‘kin, “Ayaw ko riyan, pangit!” Napaiyak ako. Sabi ko, kung ayaw n’yo, huwag. Ayoko naman talagang mag-artista, sila lang ang namimilit sa akin. 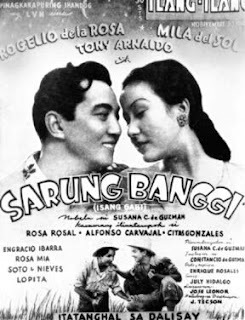 Ang “Señorita” ang itinanghal na biggest pre-war hit ng Sampaguita. 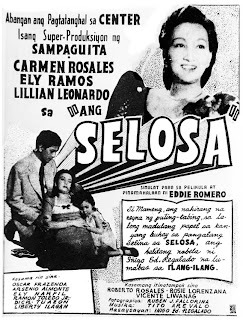 At sa talaan ng mga nangungunang pelikula ng 1939, ang top ten ay puro si Carmen Rosales ang bida. Kung ilang beses din siyang matagumpay na bumalik. 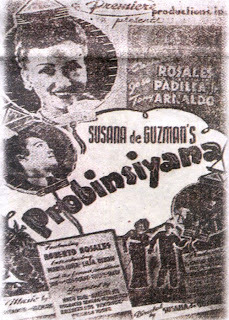 Pagkatapos ng World War II, kinuha siya ng bagong tatag na Premiere Productions sa “Probinsiyana” ni Susana de Guzman at isang buwang itinanghal iyon sa Dalisay Theater. Nang muli siyang mawala ay kinuha naman siya ni Fernando Poe, Sr. at sinabi sa kanyang “I’ll prove to everyone that you’re still on top.” Iginawa niya ng pelikulang may pamagat na “Ang Magpapawid” at muli siyang bumandila sa takilya. 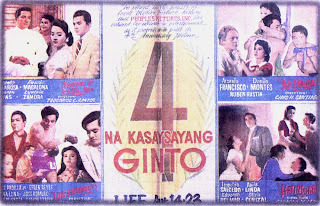 Namahinga siya ulit at sa pagbabalik niya ay kinuha naman siya ng LVN at muling ipinareha kay Rogelio de la Rosa sa “Kampanang Ginto”, ang biggest hit ng 1949 na kung saan ang ibinayad sa kanyang apatnapung libong piso ay siya nang pinakamalaking talent fee na ipinagkaloob sa isang artista nang mga panahong iyon. “Kilalang-kilala aako noon sa pagkakalog ko. Nang mag-reunion nga kami ng mga taga-Sampaguita at Makita ko si Roger, sinalubong ko agad at niyakap ko sabay sigaw ng “Naku, ang asawa ko!” Sabi nga ni Mrs. Vera, naku, itong si Mameng, hanggang ngayon hindi nagbabago. Natsismis din kami noon ni Roger pero para lang kaming magkapatid. Sa lahat ng leading ladies niya, sa ‘kin lang hindi nagselos ang asawa niyang si Lota. Alam naman niyang sa ‘kin, trabaho ‘yon. Pero pag may love scene kami ni Roger, kung magyakapan kami, talagang todu-todo. At ako pa’ng humahalik sa kanya. Nagagalit nga si Mrs. Vera. Huwag daw gan’on. Sabi ko naman, dapat ho realistic tayo dahil talagang ganyan ang tunay na magnobyo. Pero ‘yong pagbo-bold ang hindi ko magagawa. Maski noong bata ako at maganda ang katawan, hindi ako maghuhubad. Noon, magsarong lang kami, bold na ‘yon. “Ibang-iba talaga ang paggawa ng pelikula noong araw. Mas may class ang mga istorya at di tulad ngayon na kung minsan, hindi mo maintindihan. At noon, kami lang ni Roger, kaya na naming dalhin ang pelikula. Hindi gaya ngayon na kailangan, marami kayong bida para kumita ang pelikula n’yo. Very professional din ang mga tao noon. Hindi uso ang pambibitin. At ang mga intriga noon, tungkol lang sa mga roles. Sasabihin halimbawa ng isang artista sa producer, bakit mo ibinigay ang papel na ‘yan kay Carmen? Hindi naman siya bagay riyan, ako’ng mas bagay riyan. O kaya maiinggit at sasabihing pangit ang hairdo o bestido mo. E, ako, trendsetter din ako noon. Ako ang nagpauso nang makikipot na pantalon. Ako rin ang unang-unang gumamit ng wig at false eyelashes sa pelikula. L Kasi, ang mga kasama ko noon, puro senyora, na kung tawagin ngayon, badap. “Si Dr. Perez, galit na galit sa mga fans kong badap. Kapag pinapapasok ko sila sa istudyo, sasabihin sa ‘kin, huwag mo ngang papasukin ang mga bakla dito. Malas ‘yan, eh. Pinagtatanggol ko naman sila. Sasabihin ko, e bakit ka may mga make-up artists na bakla? Malaki’ng utang na loob ko sa mga bakla dahil sila’ng unang-unang pumipila sa pelikula ko. Nagkokorona pa ko ng beauty contests nila. Nag-Santa Elena rin ako sa santakrusan ng mga bakla. Gusto ko silang kasama dahil masasaya at very talented sila. May mga kopya ba siya ng kanyang mga lumang pelikula? Never daw siyang nag-boyfriend ng artista. “Kilala ko kasi sila at alam kong gugulo lang ang buhay ko. Pag may lumigaw sa ‘king artista, sasabihin ko, hoy, kabron, huwag mo na kong ligawan at hindi ako papalo sa ‘yo. Kaya nga ang napangasawa ko, wala sa movies, the late Jose “Peping” Puyat, na anak ni Don Gonzalo Puyat. “Yan ang blacksheep noon sa pamilya nila. Ako lang ang nakapagpa-diretso diyan.” Isa ang naging anak nila, si Cesar, na ngayon nga ay nakatira sa isang bunggalo na katabi ng kay Carmen kasama ng sariling pamilya nito. Sa ngayon ay masaya na raw siya sa takbo ng kanyang buhay. “Kinatutuwaan ko ngayon ang mag-alaga ng mga manok,” aniya. May mga limang manok nga kaming nakita sa paligid. Parang pets ang pagtingin niya sa mga ito. Ang isang puting tandang ay mabulas ang tindig at pinangalanan niya ng Peter. “Mabagsik ‘yan,” kuwento niya. “’Yan ang watchdog ko rito.” Nang dumating nga kami ay agad itong sumugod at akmang manunuka kundi pinigilan ng katulong. Busy rin si Mameng sa pagtatatag ng bible reading at charismatic movement sa pook nila. “Satisfied ako sa buhay ko at masaya ako sa paggawa ng mga gawaing bahay,” dagdag pa niya. Hindi na ba siya muling magka-comeback sa pelikula? Noong araw nga ay nakatira siya sa isang higit na malaking bahay sa San Juan na may swimming pool pa. Pero ipinasiya niyang iwan iyon dahil nagsosolo na naman siyang namamahay at kinuha nga niya ang bunggalong iyon sa tabi ng kanyang anak. Papayag ba siya kung may isang samahan na magbibigay sa kanya ng parangal gaya noong “Tribute” kina Bette Davis at Ingrid Bergman na ginawa sa Hollywood? Mataray talaga at prangkang magsalita, hindi po ba? Iyan nga si Carmen Rosales ng inyong mga nanay at tatay at lolo at lola. Hindi pa rin nagbabago ang pagka-outspoken hanggang sa ngayon. Kung titingnan mo siya’y hindi maaaring hindi ka humanga sa kanya. Sa bawa’t ngit ng kanyang mga labi at sulyap ng kanyang mga mata ay alam mong naroon ang mahabang karanasan ng pagiging isang tunay na artista na wala sa mga bituin natin sa ngayon at hindi na makakatkat pa ng panahon. *Thanks to Simon Santos of video48.blogspot.com for the movie ads. from 1938 to 1965 – a span of one generation – started missing her 13 years ago when she chose the life of a virtual recluse. 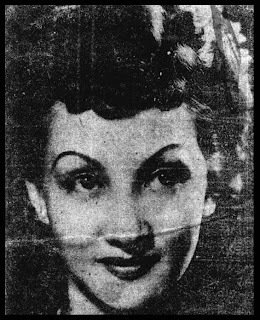 Mameng, as she is fondly called, is the first acknowledged real superstar even before the term “superstar” was conceived and the first undisputed queen of Philippine Movies, and the darling of both the so-called bakya and the high-heeled crowds. Who will ever forget this living legend of Philippine Movies, especially when one hears the lilting song, Maalaala Mo kaya or the plaintive Ang Tangi Kong Pag-ibig which were immortalized in two of her early films with the same titles. Ms. Rosales has carved out a golden niche in Philippine Movies’ Hall of Fame and occupied a warm spot in the hearts of many Filipino fans. The Great Garbo has flickered out from the screen and the public view. To this day, La Garbo has stubbornly remained uncommunicative and inaccessible for reasons only known to her. 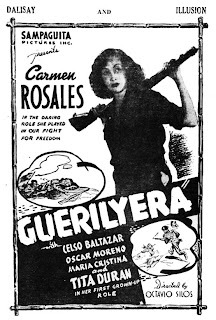 On the other hand, Carmen Rosales (who, by the way, does not want to be compared to Greta Garbo) has finally emerged from the shadows – almost – by consenting to guest star in Inday Badiday’s TV show Would You Believe? last month. But, would you believe, Mameng didn’t appear because of a freak accident three days prior to that supposedly “first” public appearance in many years? Those who waited for that Big Moment must have heard the apologies of Inday. What really happened? Mameng got caught on the chord of her telephone, stumbled hard on the floor, and got bruised just above her left eyebrow. But, as a real pro would have done under the circumstances, Mameng immediately apologized for her non-appearance to Inday and to all the people who expected her to be with them during the program. With her face still bandaged, Mameng went to Broadcast City and apologized via a remote control broadcast. Again, would you believe that Inday’s second edition of the “revived” TV program scored a very high rating that night? Mameng’s fans – and they include society matrons from such villages as Forbes Park, Bel-Air, and Magallanes, plus a big number of star-contemporaries – had to content themselves with just listening to her voice. Just the same, all these to-do over Mameng indicates her unwaning charisma. How did Mameng react to it all? At any rate, the public was left again to conjectures as to how Mameng looks today. I she still glamorous? Has she aged beyond her years? How does she sound and act today? These, and all sorts of queries ranging from the sublime to the ridiculous. Indeed, just for that incident, Mameng has aroused intense curiosity. Earlier, talks percolated that Mameng was content in living in her past glories and laurels. Consequently, so the talks went, she has fallen back to a life of reclusion. Reports too had it that she had shunned public life because she had grown “that old” or “that ugly” or both. Worst, gossip-mongers had it that she went through an unsuccessful plastic surgery, that’s why she is now ashamed to face the public. How does she take the recent furor and speculations about her? “Aba, sa isang banda ay mabuti naman at pinag-uusapan pa ako. Talagang mahirap ang maging public property. Kahit na nanahimik ka na, ini-intriga ka pa. Well, as I have said, immuned na ako. Have there been calls or invitations for her to grace this and that affair? But Mameng said she has not completely shunned public appearances. On New Year’s Eve last year, she appeared briefly in a marathon TV show called Celebration. She came on the compromise that they put her with an image of the Sto. Niño. What will be a major criterion for her considering a comeback? Mameng said that, to prove she is not insecure or conscious about appearing in public, she goes around shopping, particularly at the Uni-Mart in Greenhills, in shorts san make-up. She recalled, however, that a day or two later, she received phone calls and read articles saying it was good she did not appear on TV. Carmen Rosales started her career as second lead to Atang de la Rama in Ang Kiri. 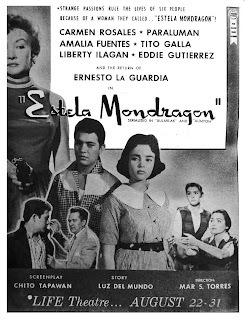 But after Excelsior Pictures’ Arimunding-Munding opposite Jose Padilla, Jr. in 1938, she became a superstar overnight. Three major film companies immediately vied for her services, namely, Excelsior Pictures, Sampaguita Pictures and LVN. Don Pedro Vera of Sampaguita bought her contract from Excelsior and Mameng became the most controversial superstar, ala Nora Aunor, that time. 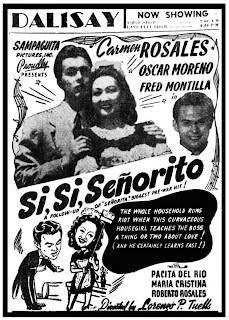 She teamed up with Rogelio de la Rosa under Sampaguita and made box-office hits like Señorita, Takip-Silim, Lambingan, Colegiala, and later, in Maalaala Mo Kaya, Ang Tangi Kong Pag-ibig, etc. 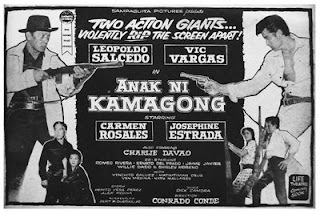 Not to be outdone, LVN paid Mameng P45,000 – a hefty amount in those days – for Kampanang Ginto. She was paired with Rogelio de la Rosa who had moved to LVN after the movie Tampuhan with Mameng, because of misunderstanding with her. This explained why their last film together at Sampaguita was almost unfinished. Mameng became the highest-paid actress during her time, excelling Rosa del Rosario, Corazon Noble, Mila del Sol and other stars in the gate receipts. And out of respect to a great actress, no other top star, male or female, had been billed ahead or on top of Mameng’s name. And why not? 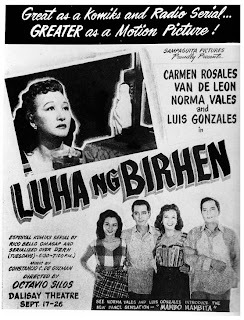 She was crowned “Queen of Philippine Movies twice: in 1948 and 1949. 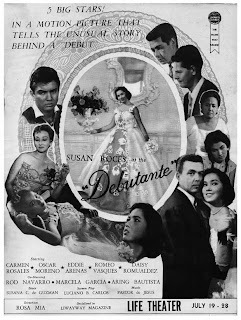 Her career spanned five generations of stars and superstars, in this wise: pre-war years – Rosa del Rosario, Rogelio de la Rosa, Leopoldo Salcedo, Jose Padilla, Jr., Fernando Poe, Sr., Angel Esmeralda, Ely Ramos, Corazon Noble, Mona Lisa, Rosario Moreno, Arsenia Francisco, Elsa Oria, Rudy Concepcion, Norma Blancaflor and Paraluman; second generation – Anita Linda, Lilia Dizon, Celia Flor, Lillian Leonardo, Alicia Vergel, Erlinda Cortes, Linda Estrella, Rebecca Gonzales; third generation – Gloria Romero, Nida Blanca, Delia Razon, Nestor de Villa, Tessie Quintana, Charito Solis, Edna Luna, Ric Rodrigo, Rita Gomez, Eddie Rodriguez, Ramon Revilla; fourth generation – Amalia Fuentes, Susan Roces, Marlene Dauden, Barbara Perez, Lita Gutierrez, Mina Aragon, Daisy Romualdez, Romeo Vasquez, Eddie Gutierrez, Jose Mari, Liberty Ilagan, Bernard Bonnin; fifth generation – Josephine Estrada, Rosemarie, Gina Pareño, Blanca Gomez, Loretta Marquez, and others. 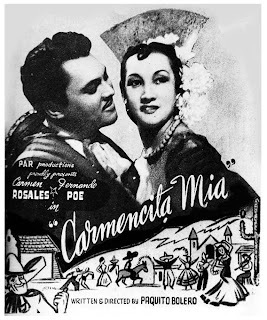 Carmen’s last movie was Gintong Recuerdo produced in early 1965. 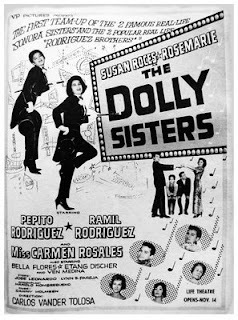 She co-starred with the then “Stars ‘66” of SPI. She was still billed above the title, ahead of her co-stars. 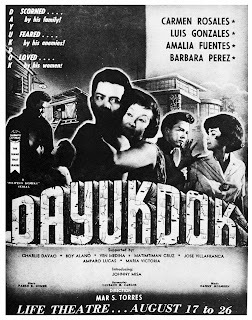 But Mameng’s most memorable movies, today considered as classics of Philippine movies, in point of prestige and box-office records are Arimunding-munding, Señorita, Probinsiyana, Ang Guerrilyera, Takip-Silim, Debutante, Maalaala Mo Kaya, MN, Kamay Ng Diyos (directed by Eddie Romero), Hindi Kita Malimot, Sandra and Inspirasiyon. The last-mentioned movie won her a FAMAS Best Actress trophy in 1953. Like most artists any where in the world, La Rosales also had a “temper” on the set. “I hate co-stars who arrive late on the set. I arrive early or on time fully made-up,” she said. “I also hate scene-stealers. Kapag frame mo, kahit extra ka lang sa pelikula, e ibibigay ko. Pero kapag frame ko na, you better give what is due me!” But she is a natural scene-stealer. She can steal a scene with just a wink or movement of her eyes – this according to the late Doc Perez. The off-screen name of Carmen Rosales is Januaria Carmen Keller Rosales Vda. de Puyat. (She was married to the late Jose Puyat, son of the late Don Gonzalo Puyat). 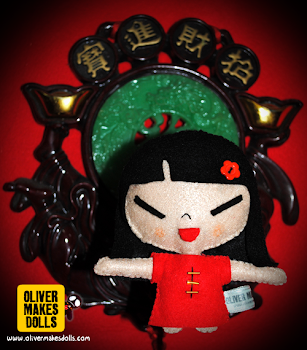 As a “civilian” – a term she herself coined – she immensely enjoys her present status. What can Mameng say about Philippine Movies today? How do they compare to those during her time, her heyday? How about our young superstars today? “Well, they are quite lucky. Many of them attain success in just a short span of time. Her advice to today’s young stars? What does she think of our male actors today? CAN YOU NAME THESE MOVIES?